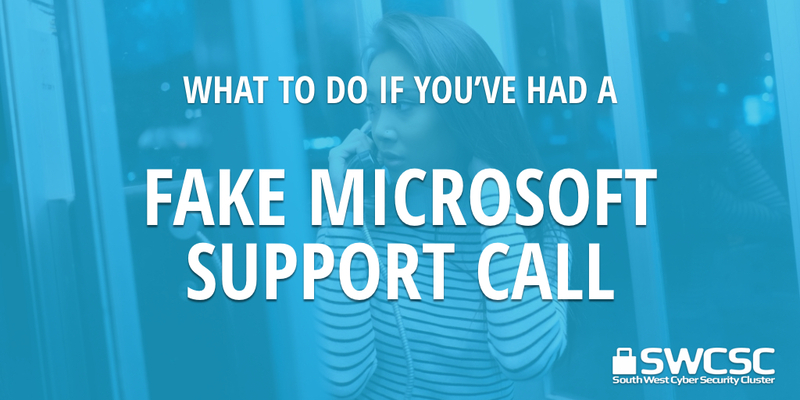 You receive a call from someone from Microsoft Helpdesk telling you that they have discovered a problem with your PC. They ask you if you are near your machine, ask you to log in. They use a ‘let me in’ type link which allows them to take control of your machine. They can then either put some malicious software on your machine which could provide them with information about bank passwords etc. Alternatively they tell you that you have a major problem, and will fix it for you, often by selling you some form of ‘anti-virus’ software, usually at an extortionate price. Or worse a combination of both. First things first, how would they ever be able to know your telephone number from your internet address? How to respond: Hang up…it’s a scam! Change the password for any financial accounts, especially your bank and credit card. Use malware scanner such as Microsoft Safety Scanner, F-secure, AVG, Kaspersky, Eset, Trend Micro, Bitdefender to find out if you have malware installed on your computer. Make sure you make anyone you know who may be susceptible to this aware of this scam and train your staff not to respond.